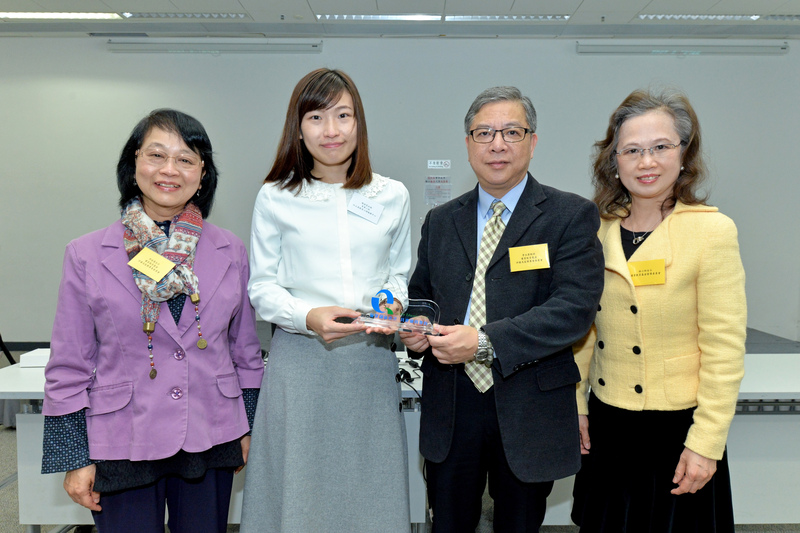 The project aims at improving reading comprehension of upper primary school students with dyslexia in Hong Kong. 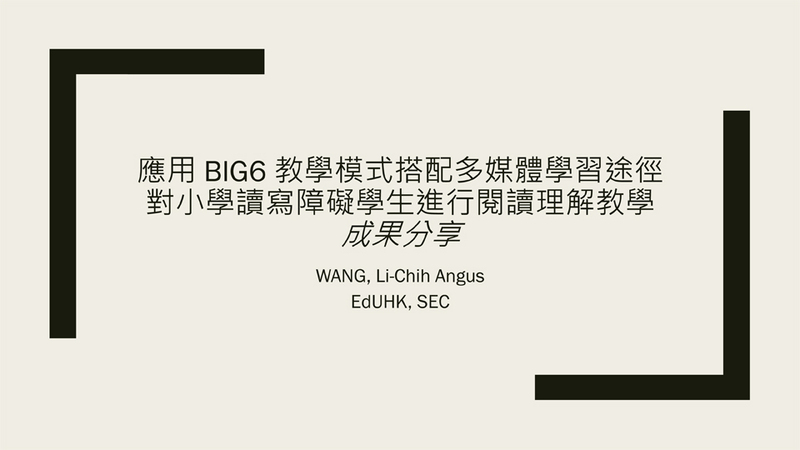 In this project, a problem-solving model namely Big Six model was used to increase students’ motivation and background knowledge about the reading materials. In order to detect the effectiveness more precisely, two standardized reading compression measurements were implemented before and after the intervention. One is for sentence comprehension and the other one is for text comprehension. Among this mini scale of QEF research, there were seven texts used during the experimental period and it showed a positive difference in the performance of 11 participants, especially on understanding of sentence comprehension. The project aims to co-create effective health education practices with teachers for the promotion of healthy lifestyle in schools by diffusion through social broadcasting internet platform. A total of 70 principals and teachers from 20 schools attended the professional training sessions which had provided teachers new knowledge and skills to devise and carry out health education practice in a holistic way. More than 1000 students and their parents participated in seminars on health education. Their health awareness was enhanced. Moreover, 335 students including 30 students with special educational needs and 20 parents participated in various holistic health education programs. Overall, most of the implemented health education programs were well received by the schools and students. 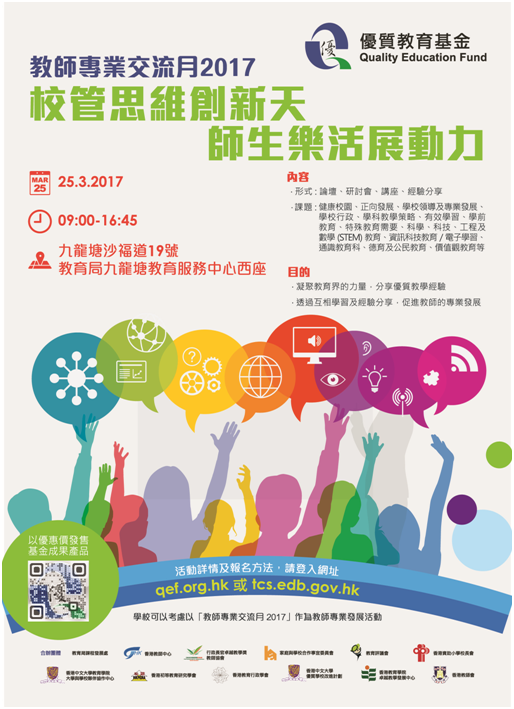 “GPS to Friends” is a two-year project which aims at enhancing the social competence of mainstream secondary school students with ASD. Social competence training groups, social coach groups, parents group, and teacher workshops are included in the project. 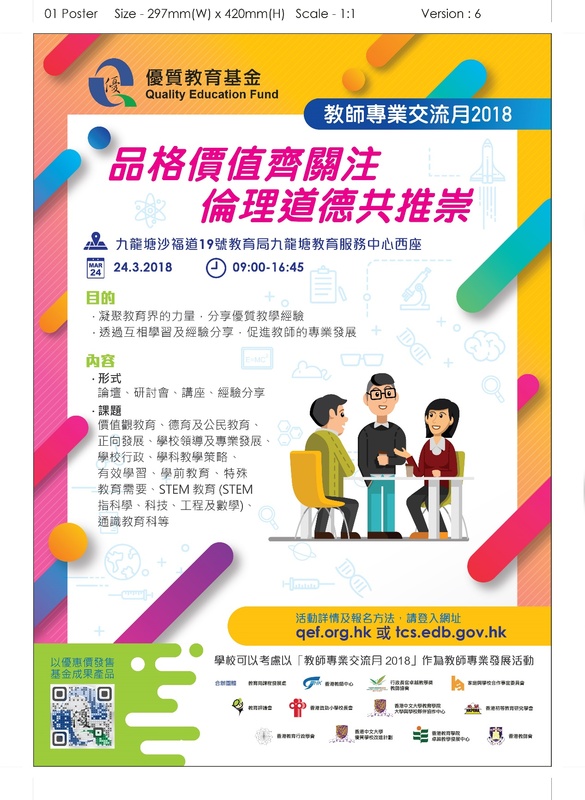 After the 2-year implementation and outcome study of the project, its resource packages were published and disseminated to all secondary schools of Hong Kong in November 2016.